Journalists have it tough these days. While resources continue to be stretched thin, media criticism and questions of credibility are at an all-time high. What does the working media think about the attacks on the press and how has the current environment affected their reporting? 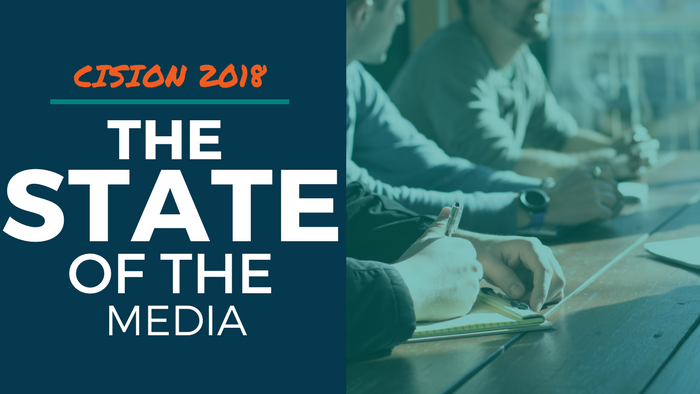 Recently, Cision conducted its annual State of the Media Report to gather journalist feedback on the challenges they face today. This year, 1,355 journalists took part in the survey. Topics ranged from the impact of Facebook to fake news to search engines and social networks. Here are some of the highlights. You can access the full report here. Newsrooms continue to be plagued with layoffs. 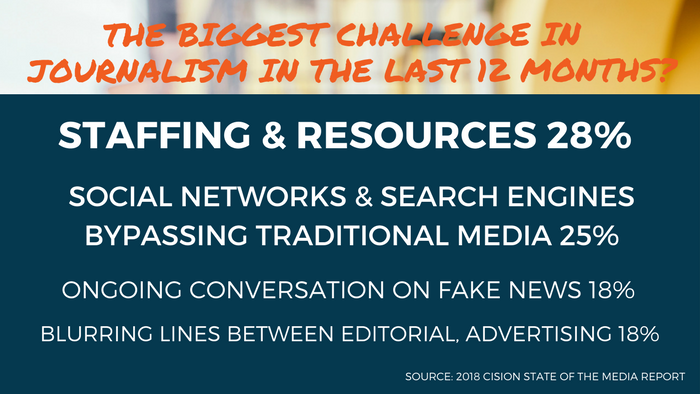 The report revealed that 28 percent of journalists believe that staffing and resources remain their greatest challenge. This is an industry trend we’ve witnessed for several years as newsrooms integrate or totally transform to digital platforms. So will it work? Earlier this year, Poynter examined whether newsrooms can really change under the constant threat of layoffs. 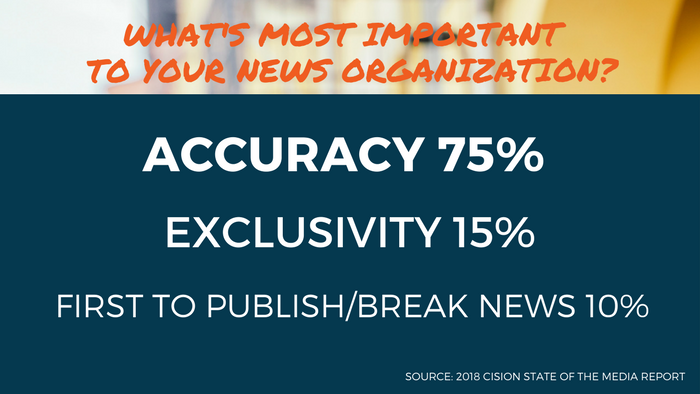 Despite the decrease in staff, news consumers can find news everywhere. We can customize the news we receive or search algorithms can do it for us. Information is delivered to consumers at a faster pace than ever before on multiple platforms in a variety of formats. The report revealed that a quarter of the respondents believe that social networks and search engines are threatening the value of traditional media. “News is always shifting and it has made our staffs a lot more nimble to be able to shift things around at the last minute but that’s breaking news,” said Fox News’ Bret Baier, during Washington Post Live segment in January, Americans and the Media: Sorting Fact from Fake News. Meanwhile, news audiences wade through a flood of daily news trying to decipher fact from fake. That lack of trust and the effort to delegitimize the media has journalists concerned about the future of their profession. The once distinct line between journalist and opinion writer now is blurred. “We need to continue to do what we’ve always done as reporters which is collect information, write about it, report and let people make up their own minds,” Woodruff said.